Our services include light and medium duty towing solutions to meet the needs of a variety of customers. 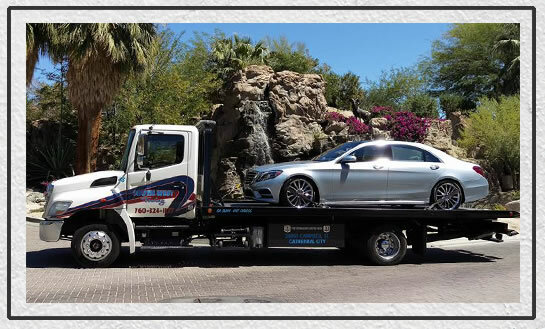 We also provide roadside assistance as well as local and long distance transport to just about any location in Southern California, and parts Arizona and Nevada. We welcome commercial and fleet accounts and we work closely with law enforcement and motor clubs such as GEICO. 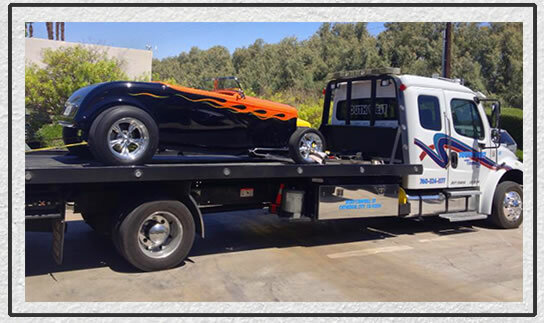 Our goal is to provide affordable towing services and top notch customer service. For that reason, all of our tow truck operators are uniformed, trained and licensed. Operators are also subject to annual background checks and regular drug testing. Give us a call today to find out why South West Towing is right for you! To help us respond to your calls quickly and efficiently, all calls are dispatched through our fleet management system. This system sends location details directly to GPS terminals in each truck. You can rest easy knowing we’ll be there to help in no time!